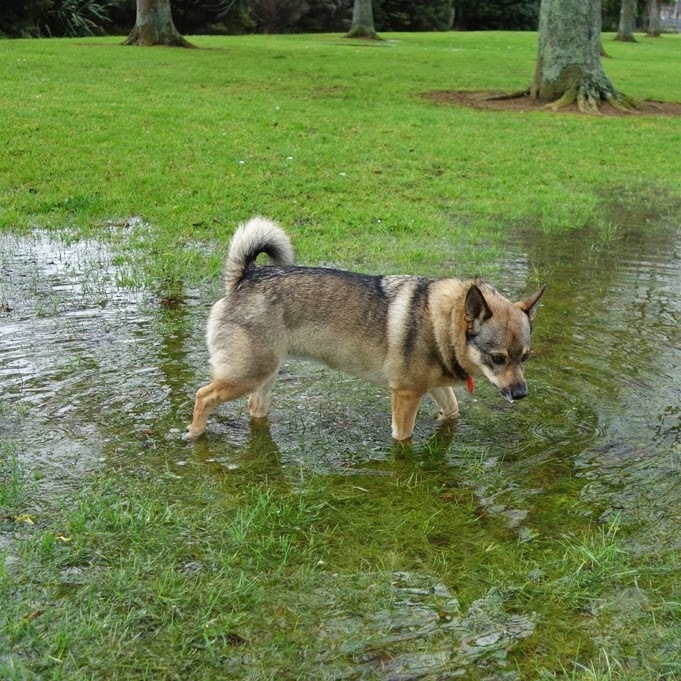 When we had heavy downpours two weeks ago, parts of the park had been turned into many small puddles. What is it with puddles and dogs (and kids)? They seem to be best of friends aka partners in crime, I think. Bonnie ran happily through these puddles the other day. When I have a bath filled half way with water at home she doesn’t seem to like it especially when there is shampoo involved.Funny that!